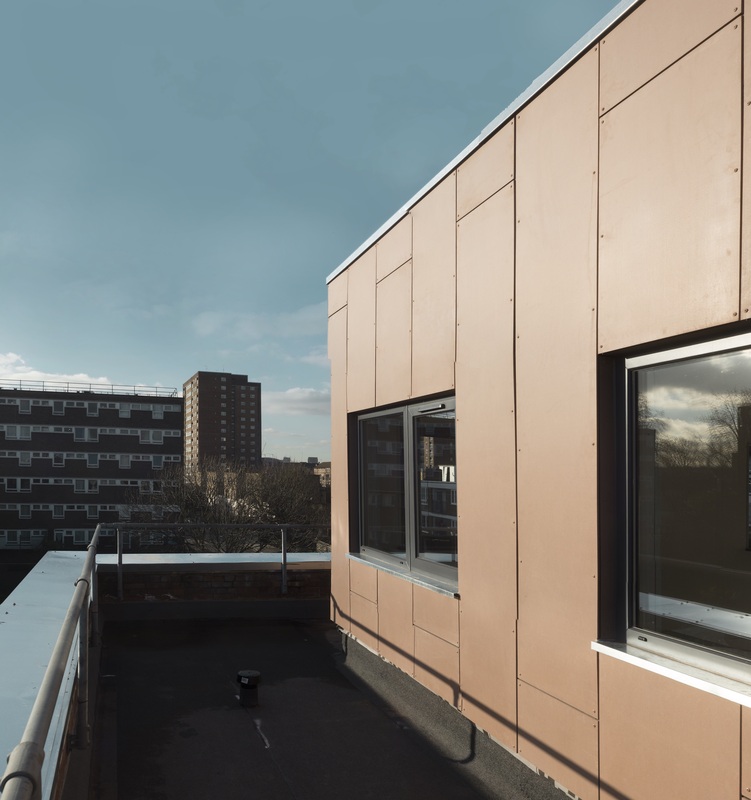 BRAC Contracts were privileged to be awarded the commission to be the main contractors for the design and construction of this project. 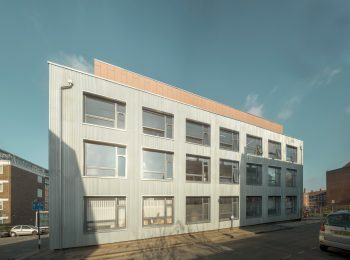 Deborah House Studios is part of a series of recently completed buildings for Hackney-based creative arts charity SPACE. 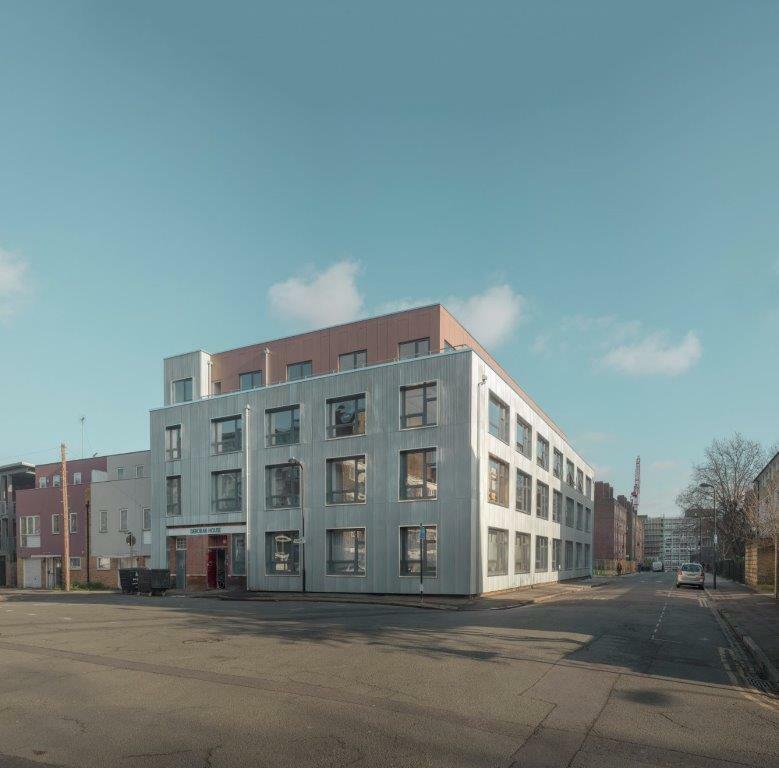 Deborah House was originally a shoe factory in the 1920s. 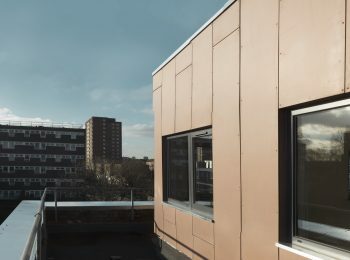 In just eight months, we constructed a 400m extension to the existing two storey building, conserving a small part of the vibrancy and appeal of East London that is now largely converted to residential accommodation. 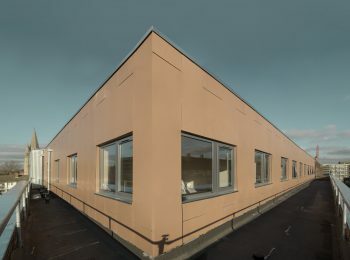 It is now transformed into affordable workspace. 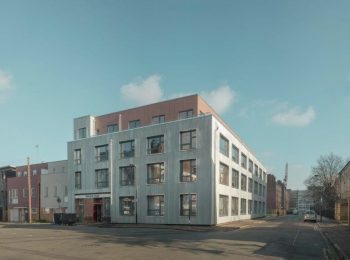 As a busy tenanted office building, it was vital that any work undertaken was completed while it was fully occupied and as experts in refurbishment this was easily achieved. 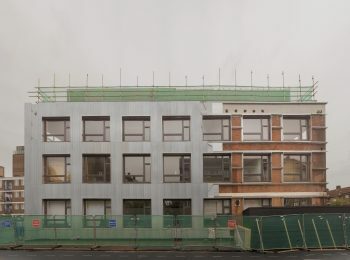 The design takes inspiration from the building’s post-war, mainly residential neighbours and its original appearance. 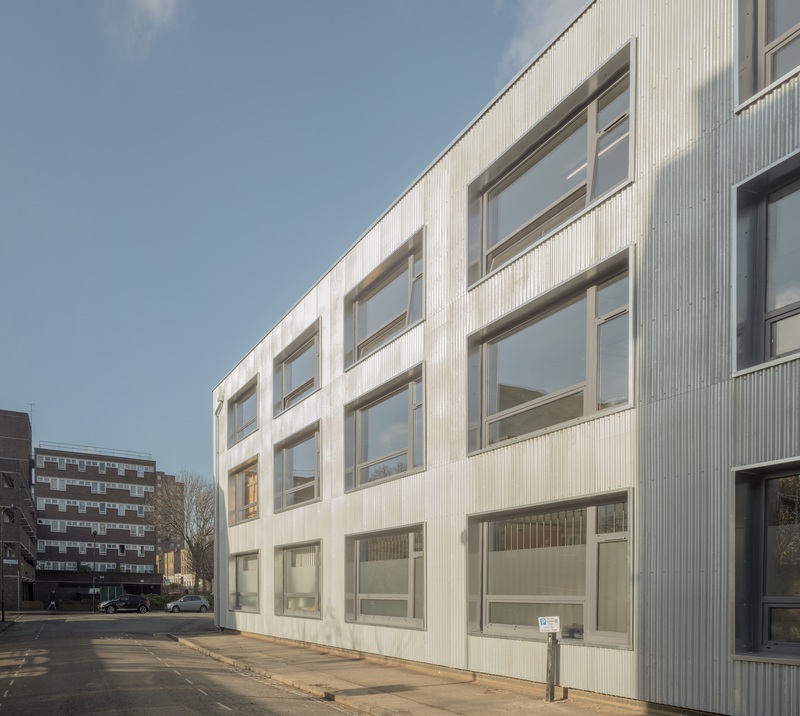 Inspired by the building’s industrial background, the new façade of galvanised embossed steel profile cladding is striking and provides external insulation. 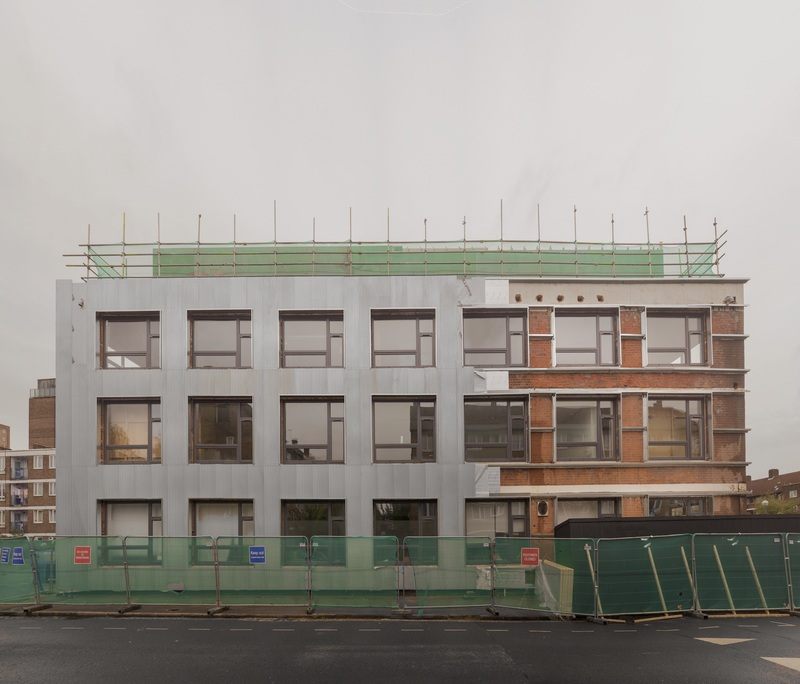 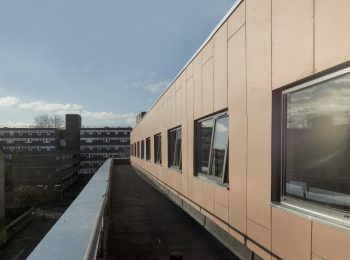 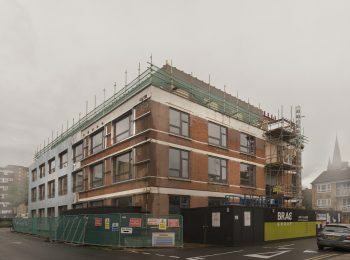 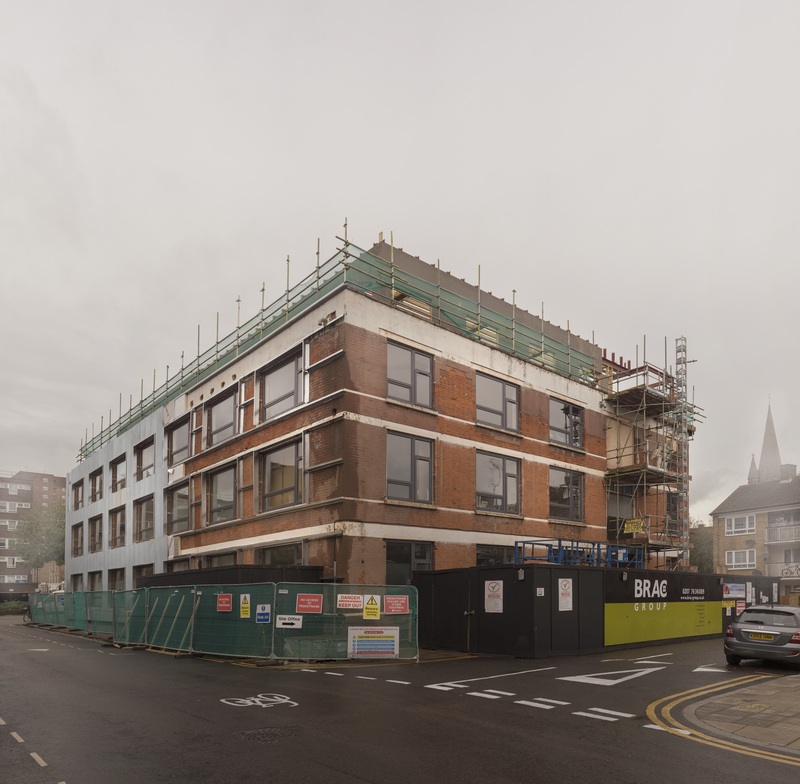 As some of the existing brickwork had been permanently damaged by decay in several places, the cladding protects it and improves the building’s thermal efficiency. 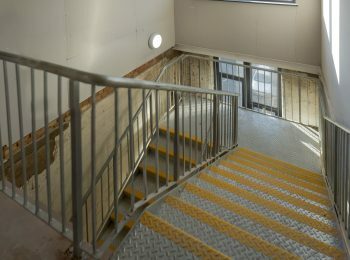 While this new exterior offers a new modern appearance, there are cleverly arranged cut-throughs beside the main entrances to the building which reveal areas of brickwork and therefore a glimpse of its original character. 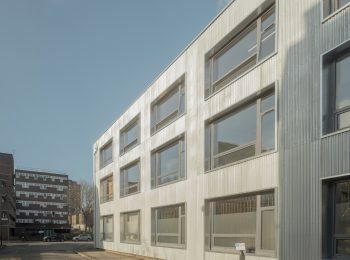 The large-pane windows made of innovative and environmentally friendly GRP highlight the existing building’s simple geometry and fill the studios with plenty of natural light. 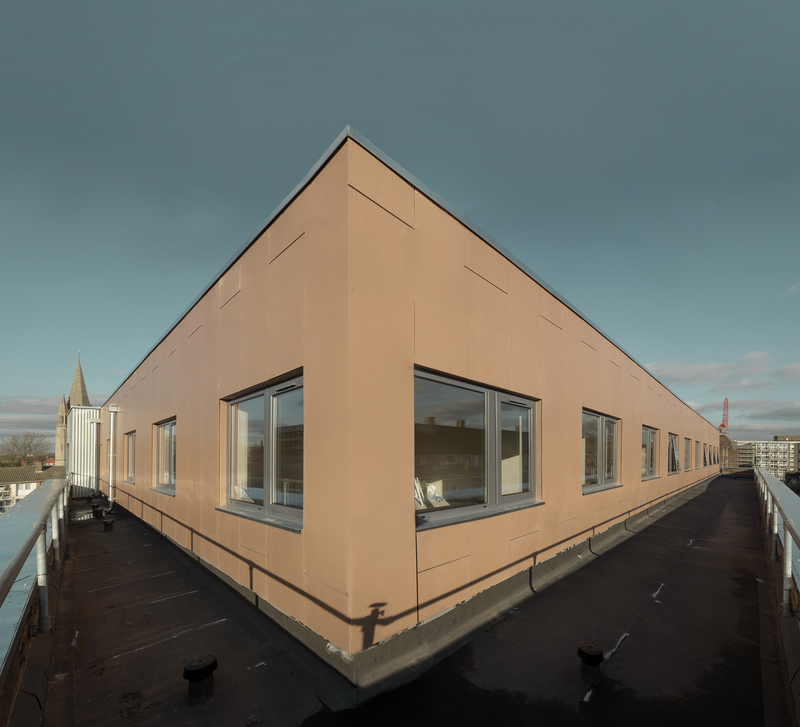 The 400sq metre roof extension provides several additional workspaces in place of the old shabby roof. 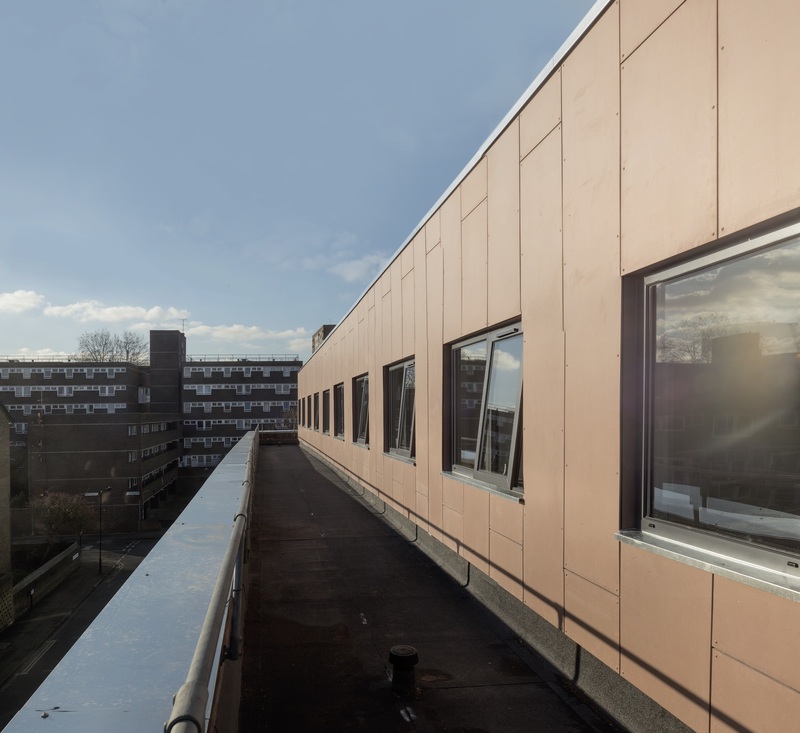 To complete the project a biodiverse living roof (or green roof) was fitted providing benefits to the environment, a habitat for wildlife as well as reducing the run off from storm water. 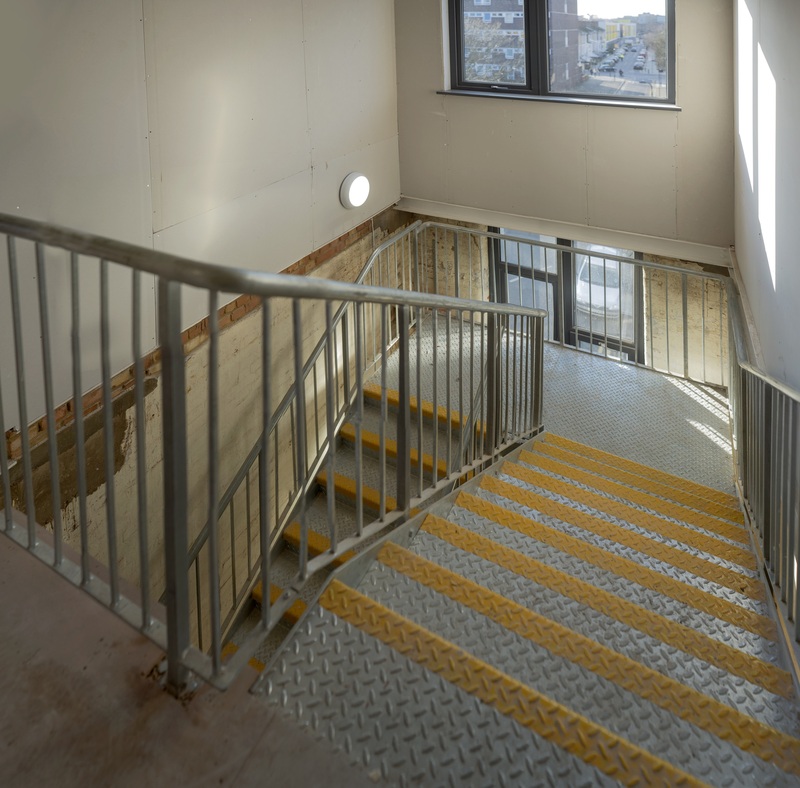 BRAC Contracts also upgraded the electrics and provided internal partitioning. 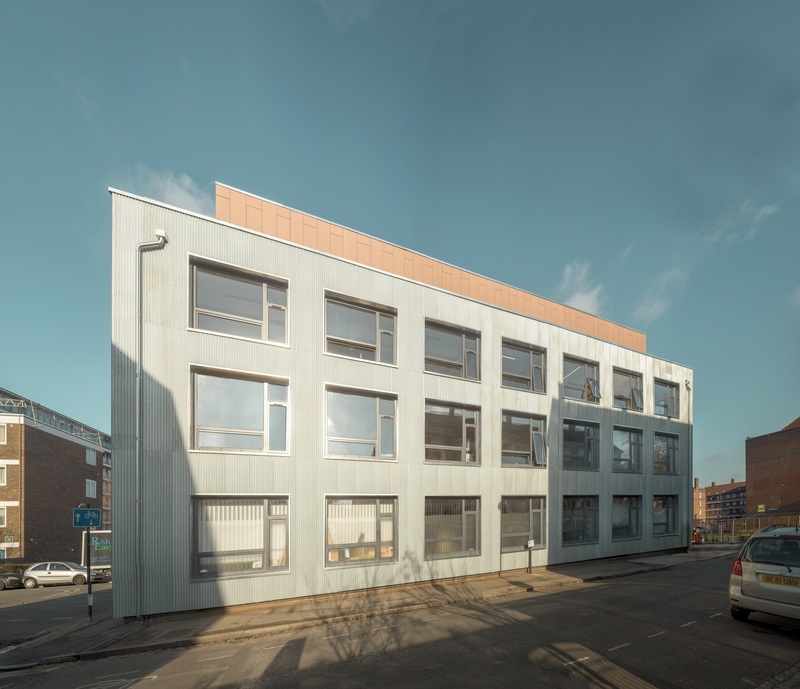 BRAC Developments are specialist in urban regeneration projects and Deborah House is a great example of our approach and proficiency to deliver on challenging and unique commercial projects.